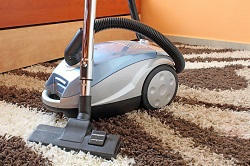 Hire The Dry Carpet Cleaning Specialists in London! Dry carpet cleaning is a fast-acting way of sprucing up your fabrics and has incredible results each and every time. Suitable for residential and commercial premises, it is a cheap and reliable way of removing dust, dirt and other allergens. If you have carpets which you need to get cleaned up without any long drying times, call 020 3744 6923 and ask our team about our dry cleaning options in London. Our customer services team are knowledgeable about all of our services and can offer you free and impartial advice about your carpet dilemmas. With a dedicated team of carpet cleaners, we can even guarantee that our services are above and beyond those of any other firm! When London Dry Carpet Cleaning Is Right For You? Carpet cleaning is a complex process that can deliver mixed results depending on what products and treatment you opt for. That is why we at Carpet Cleaning London have made sure that all of our carpet cleaners are experts at identifying fabrics and delivering the best treatment package. So if you’re not sure whether a dry clean package is right for your carpet, don’t be afraid to ask us for some help. Our London dry carpet cleaners will be happy to help you with any of your questions. With zero drying times and a quick turnaround, it is a great option for busy homes and businesses. 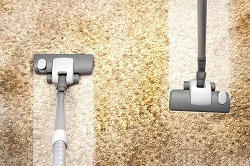 Are you concerned that dry carpet cleaning London won’t remove as much dirt as an intensive carpet cleaning treatment? Then with our state of the art equipment you needn’t be. We have invested in top of the range machinery which allows us to extract dirt right from the bottom of your carpet fibres. As most dirt on your carpets is dry dirt, such as dust and allergens, our powerful extraction equipment has the suction and force it needs to remove each and every unwanted particle. With far more power than your everyday vacuum, our cleaning equipment can deliver spectacular results. Do We Have Any Special Offers on London Dry Carpet Cleaning? If you’re looking to bag yourself a commercial or domestic carpet cleaning bargain then ask our team for a free quote now. We offer incredibly low prices in London all year round, with one-off special offers available for a limited period of time. So if you want to experience an outstanding service at an unbelievable price, make sure its Carpet Cleaning London that you call! Get in touch with us on 020 3744 6923 today! We are renowned for offering the best value for money each and every time. We’re so confident that you’ll be impressed with our Lodon dry carpet cleaning services that we even offer a great money-back guarantee. If you’re less than 100% satisfied with your deal, all you need to do is give us a call! A Professional Carpet Cleaners Team in London Who Go The Extra Mile! Our London carpet cleaners are a specialist team who are experienced and trained in the art of commercial and domestic carpet cleaning. With a keen eye for detail they can eliminate every piece of dirt and every stain while rejuvenating threadbare areas and increasing the lifespan of tired fabrics. Trained to work quickly and efficiently at all times, they are a friendly and professional bunch who will always go the extra mile for you and your carpets. So if you need a speedy dry carpet cleaning service or a last-minute package, don’t be afraid to give us a call on 020 3744 6923! Our cleaning experts in London will always do everything they can to help you out, removing nasty stains and odours in just a matter of minutes! Description: Get your carpets perfectly clean by our carpet cleaners that operate around London. Call 020 3744 6923 today and get an extra discount! Copyright © 2009 - 2015 Carpet Cleaning London. All Rights Reserved.